Well its been a few days and a lot has happened. I’m due to start my course tomorrow and my Stella & Dot start pack and samples have arrived. I am so excited!!!! I met with my sponsor over the phone a wonderful lady from California, Elaine Marshall whom I am already in love with. Elaine and I spent nearly three hours on the phone chewing the fat on everything from our careers, families and love of Trader Joes. We are both on the same page = needing to get our cute back. This is where Stella & Dot come in. Just look at the beautiful images and positive messages on the website and you know its all good. Get up to 35% commissions on sales, shop at a discount up to 50% off, plus get tons of free products and perks. And a whole lot more, I’ve already made one new friend. The wonderful Elaine, who I know you’ll love to. Check her blog out EmpoweredElaine.com its fab. I’m really looking forward to sharing with you all the fun of trying out new pieces from the collection, using them to bring a little bit of sparkle to our Mr & Mrs Ds dates and just everything a bit more fabulous. Thats my new word, fabulous. FAB-U-LOUS. The dread I felt going back into work was overwhelming, its not because of the people I work with or even the company. They are all fabulous and work exceptionally hard, I am very proud of their achievements; rather its the place/pace/hours/ – I feel restricted as if I do not have any freedom. I used to paint and until about five years ago when the stresses of work become more acute. Now I can’t even begin to imagine what it would feel like to even pick up a pencil to draw, let alone start a major piece of work. Its like I can’t breath creatively and it stops me from interacting with experiences and life outside the four walls of my work and home. I read an article a few weeks ago about Danish work life balance. Mainly because I have Danish friends and family and this interested me,but also given my current feeling about work I thought it would be helpful. They always seem so happy, relaxed and in love with life. Secondly, for the more deeply personal reasons above. I found this on LinkedIn via Stylist magazine and it talked about the differences between the cultures in UK working and the Danish. Now I am a realist and I do know that the whole country of Denmark does not grind to a halt at 4pm whilst the whole country clocks off. Afterall who would be left to serve the beer in Newhaven of an evening? However when it comes to working culture I do think they [The Danes] are on to something. Having that balance between work and non working life. The expectation that you have something better to go home to and that is understood and appreciated by your co-workers is quite frankly missing in the UK. Whilst I always try to create that environment for my team, that same environment is missing for me. Perhaps I do too much for my team? Maybe – however in my role, at my level I think it is impossible to have. Hence the Career Change course. So stop your moaning girl and go do something about it – I sure you are thinking the same whilst reading this!! Well I have. Starting with my health. On with the 8 Week Blood Sugar Diet, by Dr Michael Mosley. It’s hard but so far worth it. This is the start for me getting back to dance fit. I’ve also started as a Stella & Dot stylist with my own Facebook page – its not going to make me a millionaire but I do love fashion (another form of painting for me) and it might pay for a few dates with Mr D and I get to wear sparkly things! Oh and Girl Guides – I’m on my way to being a leader. Loved the Guides when I was a Guide and still have the promise ringing in my head... I promise to do my best… now I need to do my best by myself. I’ve also done a hell of a lot of thinking. I’ve signed up to another course before the career change one, all related in flowers and floristry. I think know this is where my path lies. I love love love flowers and every thing about them. I know what my flower business will be (more to come on that later) and now is the time to get my skills ready. Its time to invest again in me. To find that young woman whom her friends loved to be with. That young woman who loved life, on her own terms and felt free enough to be able to paint large paintings, have adventures at 10pm on a Sunday evening and embrace new experiences. 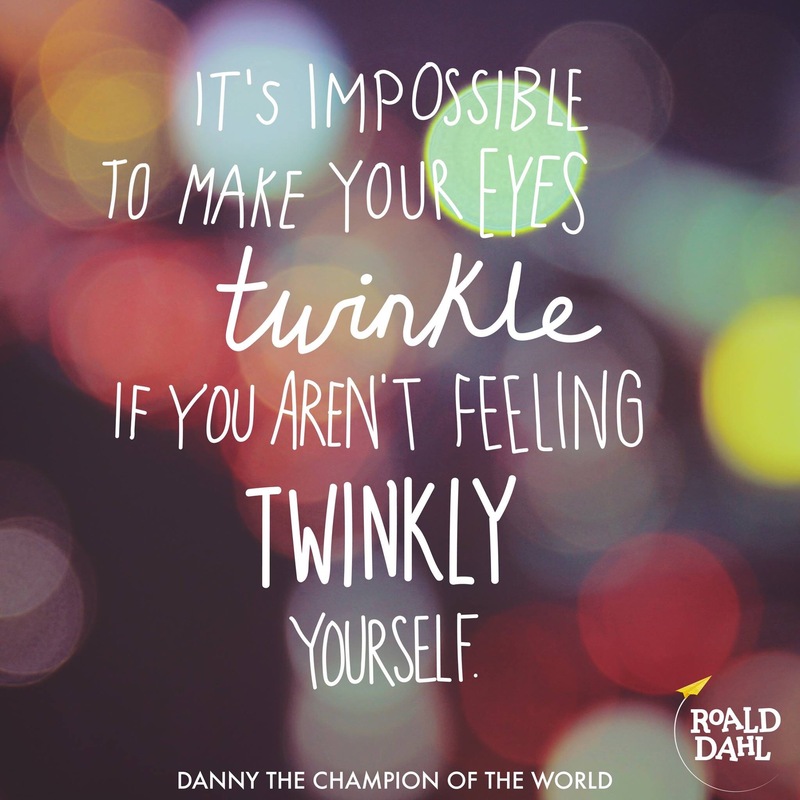 True words by Mr Dahl, and a reflection on how I have been feeling of late. I’m a dedicated hardworking kinda gal however, I’ve been off my game for some time at work with an almighty gnawing in the back of my mind that I’m just not fitting in. It’s nothing to do with my team and certainly every thing to do with being a round peg in a square hole. So how am I going to fix this?? Well…. I’ve booked myself into a career change course. Much more creative and much more me. I know that Mr D and I enjoy some of the finer things in life which my current career provides, however there comes a point when you realise: enough. Time to get your self out of this rut Mrs D. Make some plans, get some life goals and start to feel like you again. It’s not going to be easy. Some how I need to change career direction, renovate our home and furfil the wonder lust that is also brewing. I’ve mentioned previously that Mr D and I enjoy planning dates together, especially food related. We love finding new places and different locations and as a couple this really helps us have things to look forward to; it makes all the hard 9-5 work (and more!) worth while. We’d booked in for lunch at the Harwood Arms in Fulham, a venue Mr D has been wanting to visit for some time. The Harwood Arms is hidden off the main roads, offers casual new British food and boasts the only Michelin-star (as a pub) in London. If I’m honest I’m always a bit unsure about restaurants that have won a lot of awards, as sometimes the build up can be better than the experience – however on this occasion both Mr D and I were very impressed. The restaurant itself is beautiful and relaxed in its setting, the service excellent and the food delicious. I was also impressed that they are fully dog friendly (although Lucy did not join us on this lunch date). Mr D and I enjoyed two courses as part of the set menu and ended our meal with coffee and doughnuts – Mr D was especially pleased to find these on the menu. I don’t eat meat and the vegetarian menu did not disappoint and was reflective of the carnivores choice! For my veggie options I enjoyed a starter of barbecued beetroot with horseradish cream, pistachio and goats cheese. My main was Wye Valley asparagus on toast with watercress and cauliflower. Would I return again? Absolutely. It was a great meal and we would love to go back, maybe next time with Lucy if we can get her used to being on a train. Now on to planning our next date – do you and your partner still date? Any ideas please share, we are always on the look out for new places to go and experience. How lucky are we to have this furry creature come into our lives? We don’t know a lot about her story. Abandoned on the streets, used for breeding, taken to a Romainian dog pound and finally home with us. Lucy is the sweetest most loving dog I have ever known. All Lucy asks for is a cuddle and a chew stick. Adopting Lucy was one of the best things we have ever done as a couple. Lucy has brought laughter into our lives in a way only a dog can.